The Insurance Industry Charitable Foundation invites participants to explore the impact of today's most relevant diversity and inclusion topics through its Women in Insurance Regional Forums. Attendees will hear from highly acclaimed speakers who are leaders in a range of fields from business, academia, research and beyond, while enjoying outstanding networking opportunities, creative workshops and learning experiences. Through its regional divisions and conference series, IICF positions the insurance industry at the forefront of the national conversation around diversity, inclusion and leadership. By offering a regional format, IICF provides access to industry insight and expertise throughout the U.S. as well as easier scheduling and reduced participation costs. Additionally, IICF hopes to support the growth of regional networks and encourage the participation of high-potential women early in their insurance careers. More than 4,000 insurance professionals have attended the IICF Women in Insurance Regional Forums and Global Conferences since 2013. To register for the Women in Insurance Conference Series, visit womensconference.iicf.org. Click on the city where you plan to attend for more information and to register. 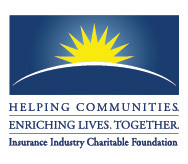 The Insurance Industry Charitable Foundation (IICF) is a unique nonprofit that unites the collective strengths of the insurance industry to help communities and enrich lives through grants, volunteer service and leadership. Established in 1994, IICF has contributed nearly $30 million in community grants, along with 270,000 volunteer hours by more than 100,000 volunteers, to hundreds of charities and nonprofit organizations, reinvesting in local communities where funds are raised. IICF is a registered nonprofit organization under section 501(c)(3) of the IRS code. Learn more at www.iicf.org or follow us on Twitter @doublicf.